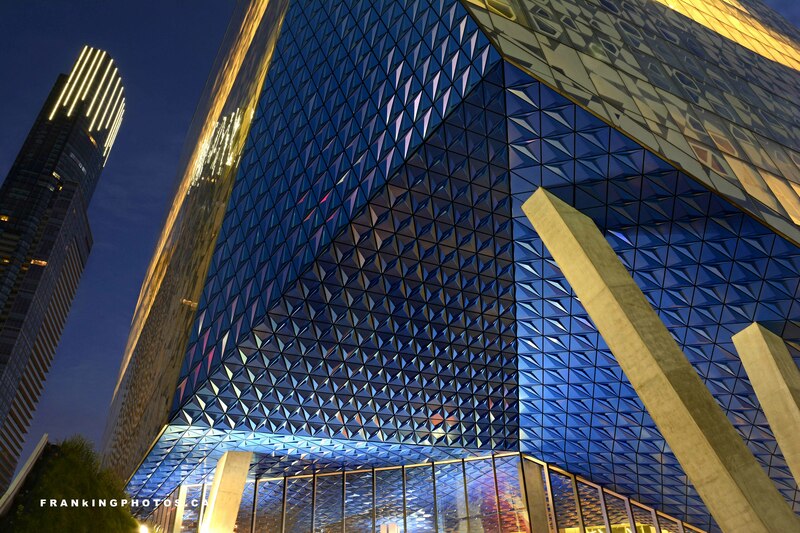 This extraordinary example of modern architecture replaced a truly iconic piece of Toronto. Those of a certain age (like me) spent many hours in “Sam The Record Man” browsing the records and, later, CDs. It was wonderful. Sam and his stores are long gone, but I sure loved capturing this new structure as dawn approached. That condo tower on the left, complete with head-scratching lines of light, made a nice counterpoint. Nice shot of cool architecture!